Aug - 18 | By: Oregon Film | no comments. 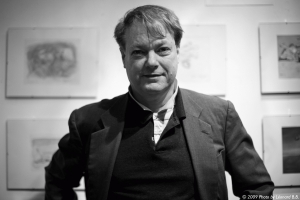 Portland native, two-time Oscar nominee and independent animator extraordinaire Bill Plympton’s book Independently Animated: Bill Plympton: The Life and Art of the King of Indie Animation was released earlier this year. A combination of autobiography and guide to the independent animation industry, the book has been receiving rave reviews and features a forward by former Monty Python member Terry Gilliam. Salon.com describes Plympton as: “…that rare artist who has spent decades on the fringes, yet also seen his drawings in Vanity Fair, The New Yorker, Vogue, Rolling Stone and the Village Voice. He’s a cult filmmaker who has also been nominated for Academy Awards for his shorts, both the ‘Your Face’ and the ‘Dog’ series. Plympton’s work on Fox’s ‘The Edge’ and MTV’s ‘Liquid Television’ in the 1980s and ’90s were so ahead of their time it’s amazing the networks allowed it.” Click here to jump over to Salon.com and read the entire article, including Plympton’s thoughts on hipster culture, adult animation, “Portlandia” and his international profile.